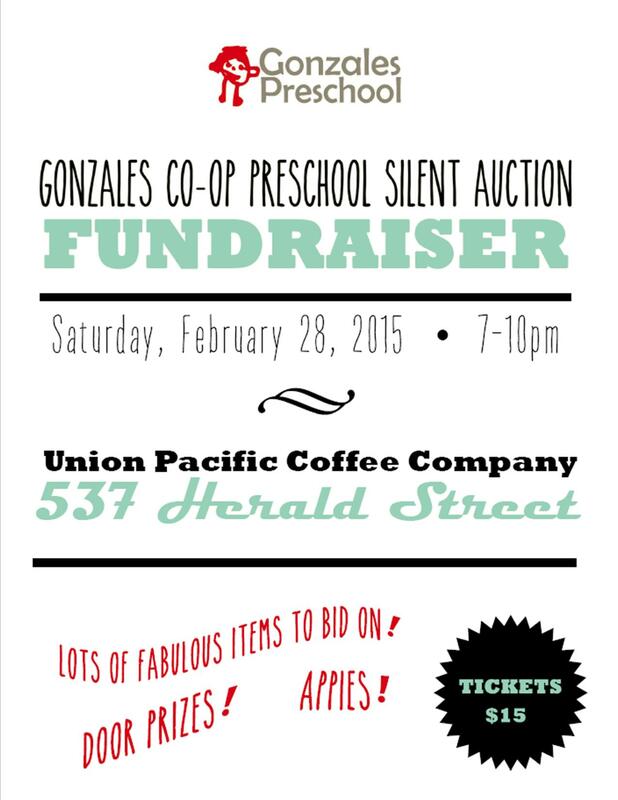 The Gonzales Preschool Silent Auction fundraiser is fast approaching. Watch our Facebook page for a list of items to be auctioned! See you there! Contact fund.gonzalescooppreschool@gmail.com for tickets or more information!